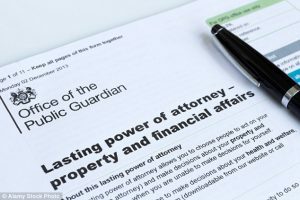 There has been lots of debate recently about whether or not a Lasting Power of Attorney is relevant for people who have joint bank accounts. There is a general misconception that when one party loses capacity the party who still has capacity can still access the funds. 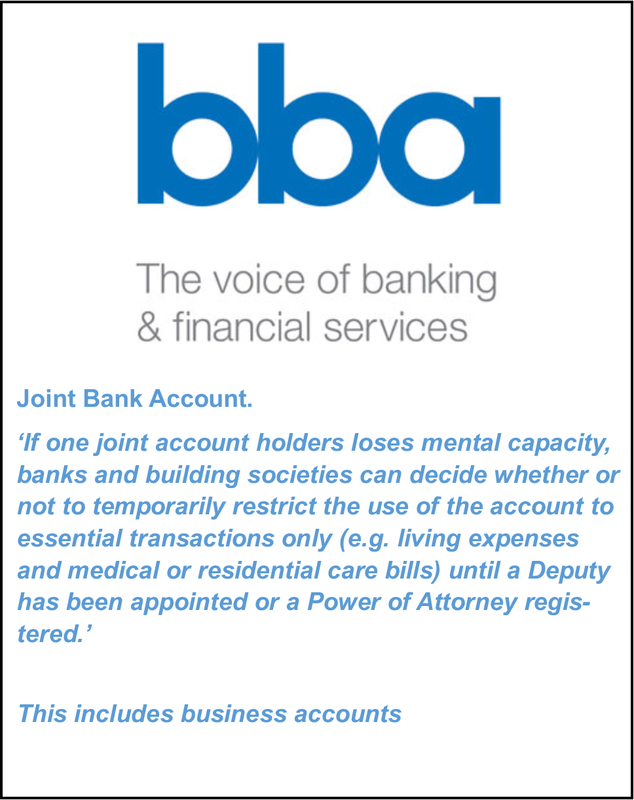 The British Bankers’ Association guidance states that when dealing with a joint bank account where one party has lost capacity the bank can decide whether to temporarily restrict the account, unless/until there is Power of Attorney or deputyship in place. As a rule banks usually do freeze the account to protect the vulnerable person and protect themselves in case of a dispute. 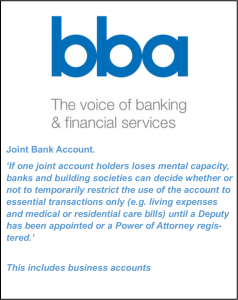 Barnet Will’s advice (and that of the British Bankers’ Association) has always been to establlish a Power of Attorney before you lose capacity so you are never put in a position where you cannot access your funds.